2006 was the year of the Winter Olympics in Turin, the FIFA World Cup in Germany, the start of the Iran nuclear crisis, North Korea's first nuclear test, a series of bomb attacks on trains in Mumbai, the Israel-Hezbollah War and in this year Montengro declared independence. Twitter was launched in 2006 and the top grossing film in the US was Pirates of the Caribbean: Dead Man's Chest with Casino Royale being the top grossing film in the UK. The best selling album in the US was the High School Musical album, in the UK it was Snow Patrol's "Eyes Open". 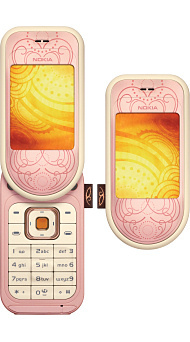 Handset manufacturers were still concentrating on traditional designs, and none more so than Nokia. 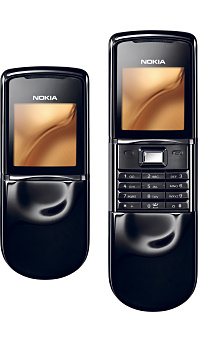 The Nokia 6300 is a well-loved, elegant and straightforward midrange phone that found many fans. At the very top of Nokia's line-up was the Nokia N95 which featured a relatively big display, 3.5G data, WiFi, GPS and a 5 megapixel camera, easily beating everything else on the market. Down at the bottom of Nokia's range, the simple but appealing Nokia 1110i carried on the legacy of the best-selling Nokia 1100 series. Nokia continued to expand its N-Series range of premium handsets and E-Series range of business phones. 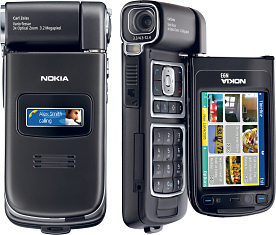 The Nokia N93 is a rare example of a camera phone with an optical zoom, but rather unsurprisingly it was quite bulky. 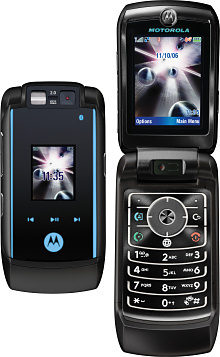 The Nokia N73 followed on the from the popular N70 with a substantially improved design. Nokia attempted to follow on from the classic 6310i business phone with the Nokia E50, but it was not an attractive handset and many customers went for the 6300 instead. 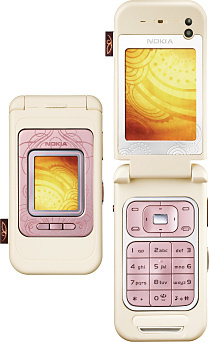 Nokia extended their L'Amour fashion phone range with the 3G Nokia 7390 clamshell phone and the Nokia 7373 rotator which was a small upgrade to 2005's 7370. 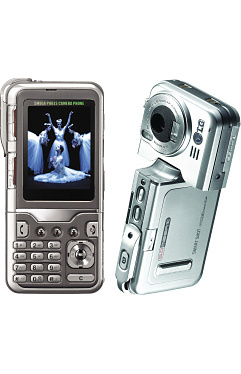 The expensive but desirable 8800 slider was upgraded with the Nokia 8800 Sirocco Edition. Nokia was never really big on clamshell phones, but the Nokia 6131 was one of the most popular they made. 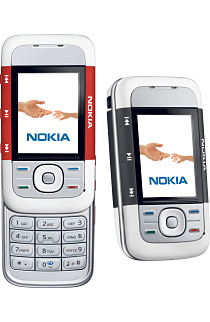 The ruggedised Nokia 5500 was designed for outdoors use and was water and bump resistant. 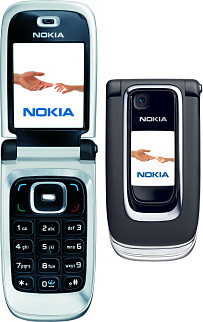 The Nokia 5300 was a popular and attractive slider phone with dedicated music keys. 2006 was the first year when HTC started selling handsets under its own name rather than those of carriers and other partners. The most significant release from HTC was the HTC TyTN, a high-end Windows device that proved that the Nokia N95 had some real competition. 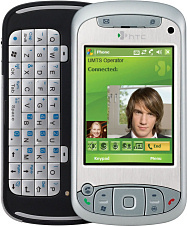 The HTC S620 was an attempt to bring Windows to a BlackBerry-style messaging phone, and the HTC P3300 was a slider phone with integrated GPS. HTC also tried to bring Windows to some conventional handsets, and although the HTC MTeoR and HTC STRTrk are technically smartphones, they are not a format that we would recognise today. And standing out as one of the ugliest phones ever, the HTC Monet featured a built-in digital DAB TV.. unsurprisingly it was a massive failure on several different levels. 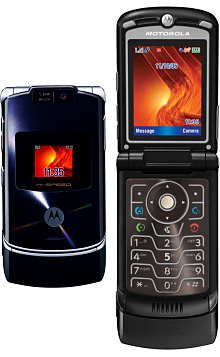 Motorola was becoming stuck in a rut with remixes of the RAZR, the most elegant of which was the Motorola KRZR K1. Showing some redundancy of effort, the Motorola RAZR V3xx and Motorola RAZR MAXX were both early 3.5G phones with a very similar feature set. The first consumer device to feature an electronic ink display, the Motorola FONE F3 is an extremely basic but rather elegant device. In an attempt to give the moribund ROKR range a boost, the Motorola ROKR E6 added a touchscreen and a decent media player, but never made the breakthrough it needed. 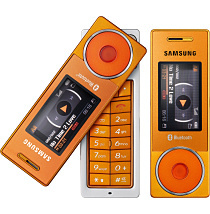 A bumper year for Sony Ericsson handsets, to the extent that "Walkman" branded phones were beginning to get out of hand. Customers could choose from the Sony Ericsson W700 or Sony Ericsson W810 monoblocks or the Sony Ericsson W850 3G slider among others. 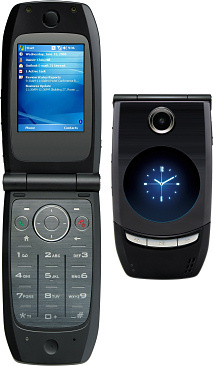 The Sony Ericsson W950 was a "Walkman" smartphone running Symbian, and was based on the Sony Ericsson M600 smartphone, a device that didn't quite manage to follow up the success of earlier Sony Ericsson Symbian handsets. 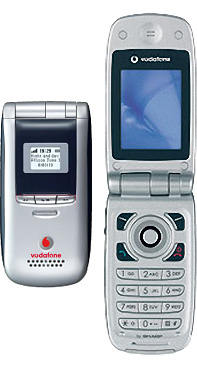 Rather more conventional were the lightweight Sony Ericsson K610 3G phone, Sony Ericsson K800 "Cybershot" phone, Sony Ericsson Z530 clamshell and glossy Sony Ericsson Z610 3G clamshell. 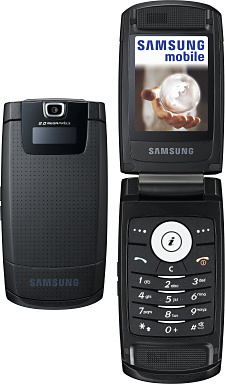 Samsung's current strategy of having a mobile phone in every conceivable niche was well underway in 2006. 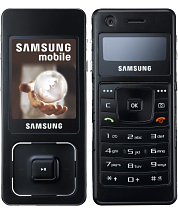 The "Samsung Ultra" range of ultra-thin handsets included the Samsung D830 clamshell phone and Samsung D900 slider. 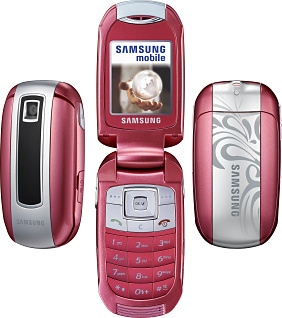 A couple of "girlie" clamshells, the Samsung E500 and Samsung E570 were a bit over-the-top when it came to design, but were still quite attractive to look at. 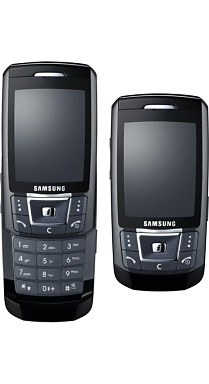 Some formats that never quite caught on included the two-sided Samsung F300 music phone, the Samsung i310 smartphone with an internal hard disk, the Samsung P310 "calculator phone" and the Samsung X830 "lipstick phone". One of LG's design icons is the LG KG800 Chocolate, so called because it looks a bit like a chocolate bar. 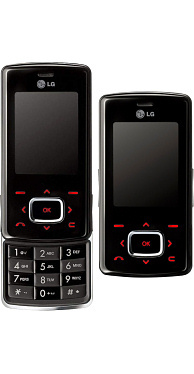 Where the Chocolate was elegant, the LG KG920 must be another one of the ugliest handsets ever. 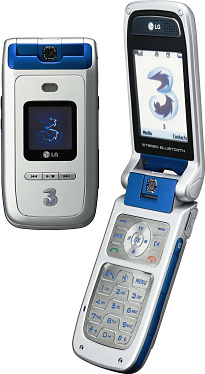 LG was still doing well with 3G clamshells, and the attractive LG U890 borrowed a few design cues from Motorola's RAZR. BlackBerry was pushing hard to bring full push-email to customers who wanted a traditional style phone, first with the BlackBerry 7130 and then with the familiar BlackBerry Pearl 8100 which was something of a breakthrough device, however in the long term it seems that customers did prefer to have a QWERTY keyboard instead. 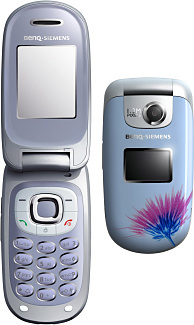 BenQ took over Siemens' handset business in 2005, and despite a promising start it ended up as a failure with the closure of the European arm in 2006 and the termination of the brand completely the following year. 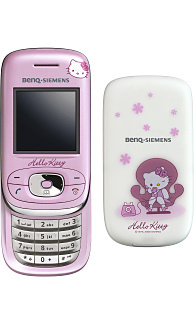 Many handsets never made it to market, but of those that did the BenQ Siemens E61 music phone was one of the most popular, the BenQ Siemens EF61 was one of the most elegant, and the BenQ Siemens AL26 "Hello Kitty" phone was definitely the cutest. Also launching this year, a full two years after it was originally announced was the BenQ P50 smartphone. BenQ Siemens AL26 "Hello Kitty"
Palm was still a challenger in the market, and the Palm Treo 680 combined the traditional PalmOS platform in a neat little hardware package that looked nicer than anything BlackBerry had to offer. The Palm Treo 750 took a similar design and added 3G, but also replaced PalmOS with the then-popular Windows Mobile 5.2. The Siemens name found itself applied to another smartphone with the Fujitsu Siemens Pocket Loox, a powerful device with a very silly name. 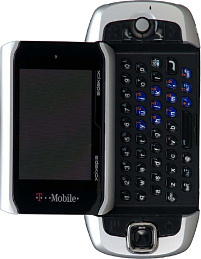 T-Mobile fleshed out its range of messaging feature phones with the T-Mobile Sidekick 3. Voice-over-IP was beginning to find its way into handsets with the Pirelli Discus Dualphone and Tovo T450G, both versions of the same handset. 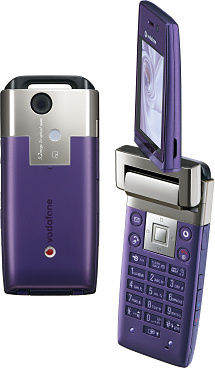 In 2006, Vodafone sold its Japanese arm which was effectively the end of Vodafone's interesting range of Japanese 3G phones. One elegant device that never made it to Europe was the Sharp 904 with a swiveling VGA resolution display, but the rather less exciting Sharp GX40 did make it into some markets instead. 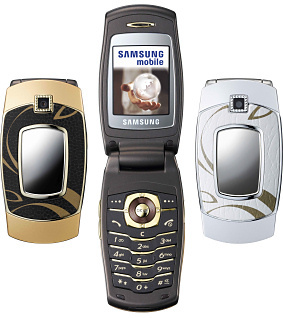 2006 featured many names that no longer exist and many handset designs such as sliders and clamshells that have largely been consigned to history. But some of the ideas were definitely ahead of their time, and perhaps the world would be a little more interesting if some of those esoteric concepts had been successful.